The French kitchen is known for its culinairy delights. 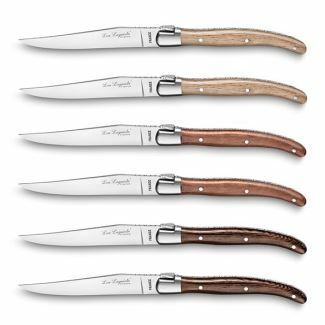 It's no surprise the French Lou Laguiole has a beautiful steak knife collection. 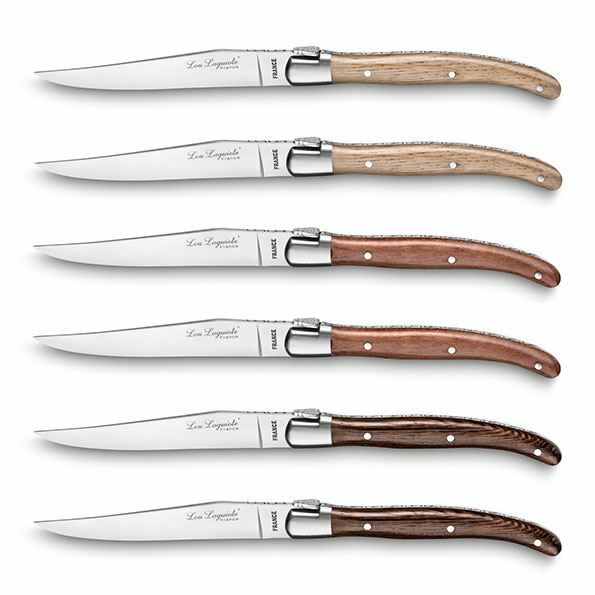 The Made in France knives are true eye catchers on the dinner table. Perfectly for a summer barbeque or a cosy dinner. 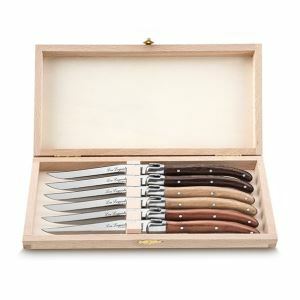 This set contains 6 steak knives in three colors. 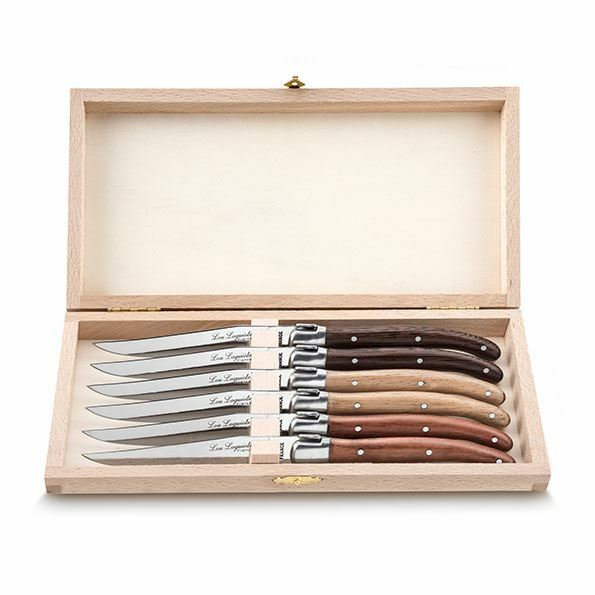 The set comes in a luxury wooden gift box.